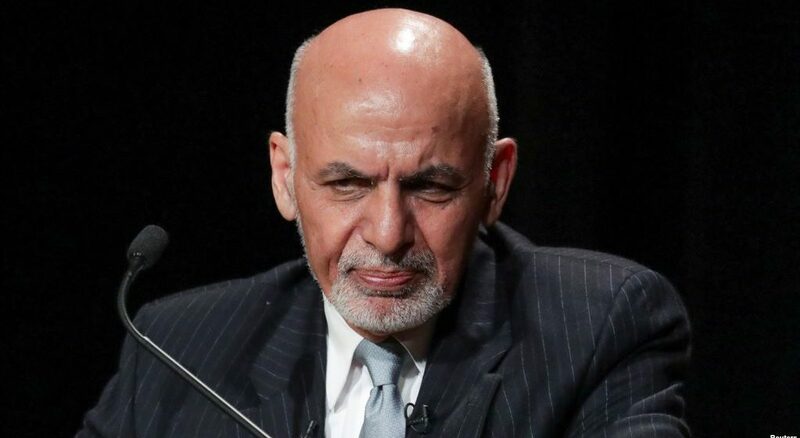 President Ghani in an interview with TOLONews, expressed in the light of the ongoing Moscow Talks between Taliban representatives and Afghan politicians that the latter are attending the dialogue despite having “no executive authority” . He said that these politicians are not officially representing Afghanistan. Ghani reminded everyone during the interview that it was him who initiated peace “for the first time in Afghanistan” when he agreed on the establishment of a national unity government in the country. On being asked about the dialogue between US and Taliban, he said that he is not concerned about that. He assured that a peace deal with the Taliban will not be implemented unless there is nationwide consensus. “US Special Envoy Zalmay Khalilzad consulted the Afghan government about his meeting last month with the Taliban”, Ghani said and “the Afghan government was fully aware of what was happening at the US-Taliban meetings.” This comes when many politicians and the Russian bloc have been criticising US for holding talks with Taliban in secrecy and not keeping the Afghan Government updated. “All talks are shared with us. All talks are set with us. The peace talks will move step by step with our consultations and according to our plan,” Ghani told TOLOnews, thus reiterating the centrality of Afghan Government’s agency in the peace process. Recently, US President Donald Trump announced the proposal of troop pullout from Syria as well as Afghanistan, and many anticipated that this might have led to sour relations between him and Ghani. But in the interview, Ghani clarified that he maintains good relations with Trump. Ghani remarked that the US has a security agreement wtih the Afghan government, not with the Taliban. Subtly hinting at some neighbouring countries, he added that the Taliban has agreement with those who give them sanctuary and arms. There were rumours of a possible establishment of an interim government and destruction of the existing system, and Ghani addressed this issue to assure that no one has the authority to “dissolve” the system. He clarified that Special Envoy Zalmay Khalilzad has never raised the issue of an interim government in Afghanistan and this is otherwise not possible too due to two reasons-he does not have the authority to sign on an interim govt and that the Afghan people are not in favor of an interim government. “A peace deal can’t be reached without nationwide agreement and without legal procedures. Has the Constitution given me the mandate to dissolve the government of the Islamic Republic of Afghanistan?” asked Ghani. Appreciating the hard work and sacrifices of Afghan Forces, he said that Afghan security and defense forces are the pride of Afghans. Assuring about timely electoral processes , he said that presidential elections will be held on time, “Elections are ahead of us. Elections will be held one hundred percent. So be prepared to move towards the elections”. With respect to Moscow Talks, he questioned the mechanism of the dialogue, “With whom? What will they agree upon there? Where is their executive authority?” He remarked that Moscow Talks hold no weight and no peace deal can be reached without a nationwide consensus. “Let hundreds of such meetings be held, but these would only be paper (agreements) unless there is an agreement by the Afghan government; Afghanistan’s national assembly and Afghanistan’s legal institutions,” Ghani remarked. President Ghani assured the people that he is the protector of peace in Afghanistan but will pose as a hurdle against any compromise on achievements and values of the country, like the democratic values.